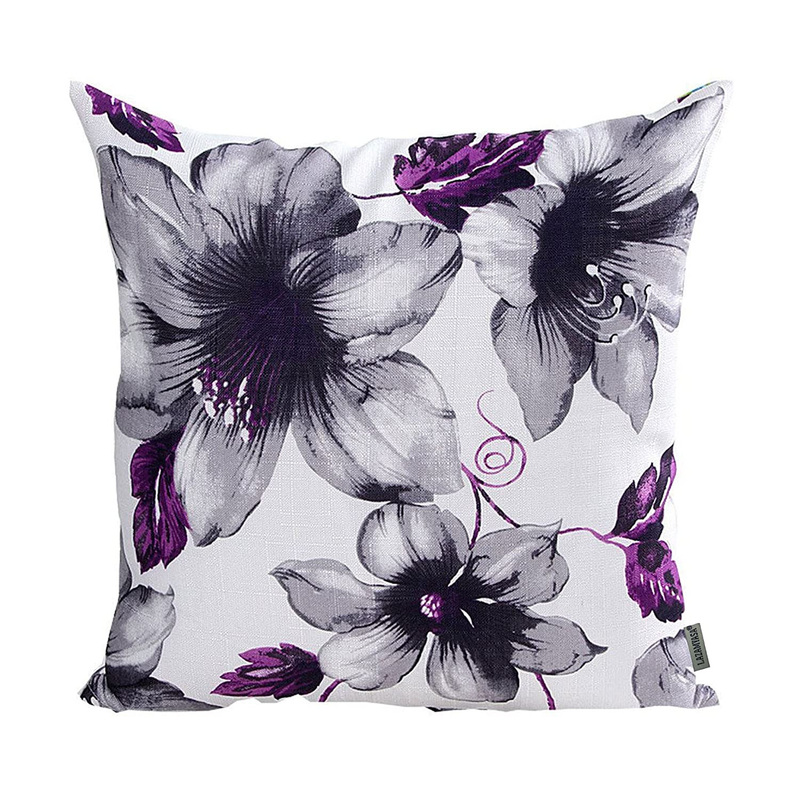 Switch up the look of your room with these lovely floral pillow covers. Pillow covers make for an instant update to the home or patio, and they make great gifts for those that share your taste. A simple change of color scheme, texture or shape makes a space feel refreshed and evolved, for both guests and residents alike. The pretty collection of flower pillow cases by LAZAMYASA offers just the right amount of color, quality and charisma. There’s nothing cheesy about these floral prints — shading, intricate lines and beautiful swirling patterns look like an art piece. The fabric works both in and outdoors. It’s durable, but also comfortable and smooth against the skin. The linen-cotton blend is easily washed and does not pill, so the smooth woven texture and vibrant colors will remain consistent. A zipper closure makes for easy removal and a polished finish. These pillow covers are available in countless colors, so its easy to pair these them with the pieces you own. Dark neutrals create cool shading that make the colors really pop and accentuate the furniture. The tones are classic with blue, purple, green and coffee colored petals. Keep the cases reserved for a seasonal spring celebration, or show them off year round. No matter what your home keeping style is, these floral covers will always be in style.